On Tuesday 10 November, the Yes 2 Renewables team hit the road to Coonooer Bridge in the Loddon Shire, where a wind farm is under construction thanks to the ACT’s ambitious Renewable Energy Target of 90 percent by 2020. With the Daniel Andrews government finalising its Renewable Energy Action Plan that will set Victorian Renewable Targets for 2020 and 2025, we wanted to find out how it is that the ACT’s renewable energy policy is building wind farms in our state. We wanted to get a sense of how the project will benefit our economy, community, and environment. The Coonooer Bridge wind farm will be the first sizeable renewable energy project in the Loddon Shire. The project is being developed by the Canberra-based firm Windlab–a private company that emerged out of the CSIRO’s wind research unit in 2003. While the environmental credentials of the Coonooer Bridge wind farm project are obvious, it’s Windlab’s approach to community engagement that has caught the attention of policymakers and the wind energy sector. 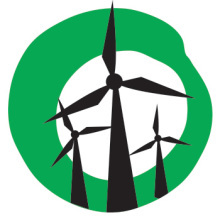 The firm has taken an innovative approach to sharing the wealth produced by the wind farm among the community. According to Parton, this approach has led to high levels of trust with the neighbouring landholders who view the project in a positive light. The Coonooer Bridge wind farm will deliver economic benefits to the Loddon Shire region during its construction phase and over the 25-or-so years it operates. Yet the project is also stimulating economic development across the state. Work is now underway in the regional town of Portland where Keppel Prince steel workers are manufacturing the towers that will hold 3.3MW Vestas wind turbines–among the biggest deployed in Australia. And even companies in metropolitan Melbourne have benefited from the project. Cables made by Nexans/Olex in Tottenham and warehoused in Lilydale will help connect the wind turbines to the grid. The exemplary triple-bottom-line benefits of the Coonooer Bridge wind farm are a direct result of the ACT’s renewable energy policies. The case provides valuable lessons for Victorian policymakers as the Andrews government sharpens its forthcoming Renewable Energy Action Plan. The ACT government has used reverse auctions to built utility-scale wind farms and solar projects and wind farms To achieve it’s ambitious renewable energy targets. From Windlab’s perspective, the ACT’s renewable energy policy is achieving it’s objectives and has helped the firm grow–creating new employment opportunities for territory residents. “The ACT wind auctions are a fantastic climate change policy response that has resulted in additional installed capacity on top of that required by the Federal Government’s Renewable Energy Target (RET),” said Matthew Parton. Parton says the reverse auction model has encouraged competition among the renewable energy sector and delivers good value for the territory government and citizens. “By requiring projects to compete on price, as well as through economic, research and teaching outcomes for Canberra, the ACT government has made the policy a win for it too,” says Parton. With the Andrews government finalising its renewable energy policy, what would Windlab like to see occur in Victoria? “In terms of the VRET, Windlab would prefer a policy that is additional to the RET instead of just legislation requiring a set proportion of the RET generation to come from Victoria,” says Parton. A robust plan to grow Victoria’s renewable energy sector — creating jobs, unleashing investment, and delivering environmental benefit — is something all political parties can support. Yes 2 Renewables look forward to the Andrews government setting Victorian Renewable Energy Targets of greater ambition that the baseline commitment of at least 20 percent by 2020.